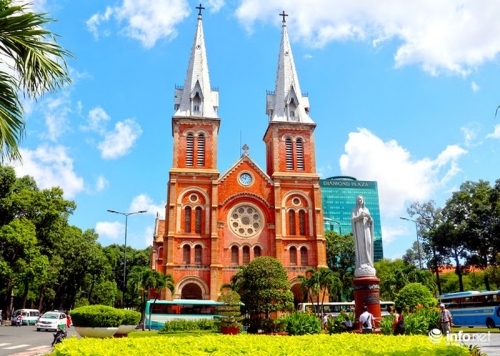 Viet Fun Travel’s staff will pick you up from International airport and drop you off at your hotel in Ho Chi Minh City. 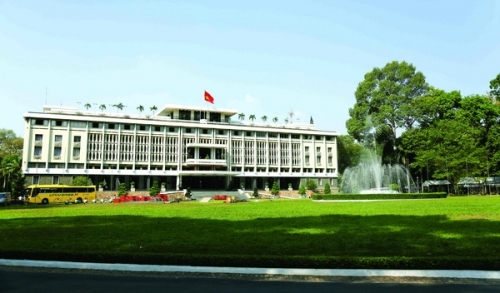 1:00pm - 1:30pm we will pick you up from your hotel and explore Reunification Hall which was the mansion of the President Ngo Dinh Diem of the former Southern Vietnam until 1975 (1960s - Apr 1975s). We have a great chance to see many beautiful things: formal meeting rooms, private bedrooms, war situation rooms 10 meter beneath earth’s level. This address today still plays the crucial role in Ho Chi Minh City - Saigon. We have guide who speaks your language (English speaking tour guide) to tell you significant historical facts about this building and some French colonial designs comprising the Notre Dame Cathedral (Located in the center of the city, this cathedral was constructed by the French in the late 1877s. A large statue of the Virgin Mary greets you as you walk into this neo - Romanesque cathedral, decorated by two tall spires flanking either side). General Post Office (Built by Gustav Eiffel, the Post Office is an evidence to the French presence in the late 1800s. The look and feel of this grand building is like a beautiful railway station). Passing City Hall (Find out why this is one of the most impressive buildings in Ho Chi Minh City - Sai Gon. Built in the early 1900s, City Hall is a wonderful example of French colonial architecture). Evening: Watch water puppet show. Show starts at 18.30pm and finishes at 7:20pm. Then enjoy dinner on cruise. 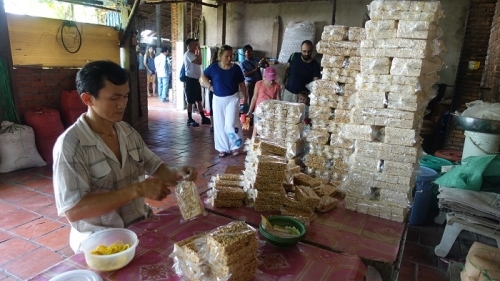 7:30am: This morning we will pick you up from your hotel and start Mekong Delta Tour 2 Days 1 Night to compare among how Cai Be and Cai Rang floating market are. On our dedicated coach with air con/car you can see the green paddy fields extending towards the horizontal. 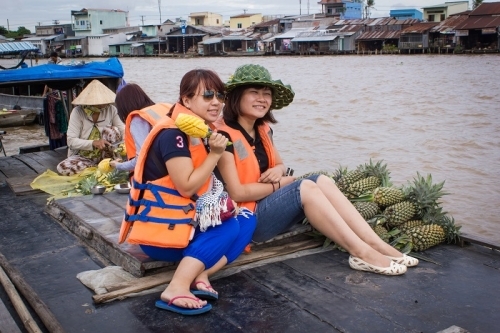 10:30am: When you arrive in Cai Be, you’ll board a motorized boat that takes you to the floating market which is one of the biggest and famous floating markets in Mekong Delta. Furthermore, you can enjoy the peaceful atmosphere and experience the daily life of rural people. After that, we continue on our river route for 5-7 minutes and then on foot for about 5 minutes to reach a noodle and a rice paper factories. We end our sightseeing trip at downtown Can Tho. On the way back to Ho Chi Minh by coach with air con/private car, we'll have a stop at an interesting point to rest and also have photographs. 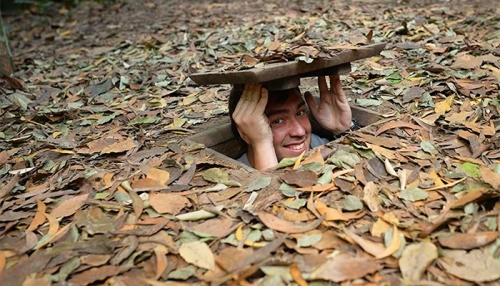 8:30am - 8:45am: We depart from your hotel to Cu Chi Tunnels Half Day Tour. 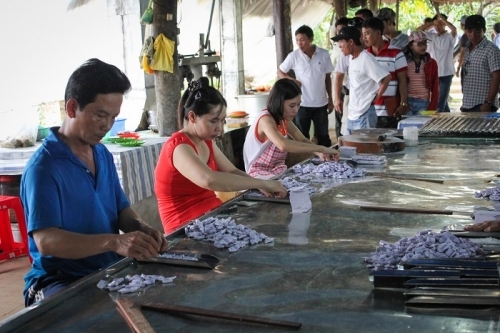 We stop at a lacquer art factory for the disabled on the way. At 02:30pm - 03:00pm, we arrive in Sai Gon or we will drop-off at airport. 3 breakfasts at hotel, 2 lunches, 2 dinners, 2 Aquafina water bottles and 2 nights in Sai Gon and 1 night in Can Tho.